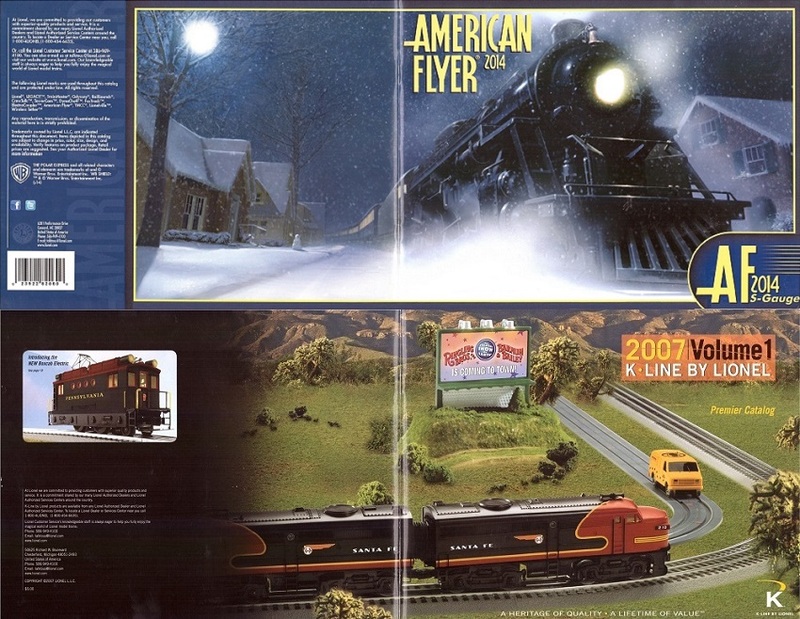 Above are catalogs with wraparound covers issued by Lionel under the American Flyer and K-Line brand names. This Lionel and K-Line Train Catalog and Flyer web-site was established February 1, 2017. Thanks to Classic Toy Trains forum member wrmcclellan for suggesting I optimize my original Train page for smart phones/ipads. This is the result. 1985-1986 Kenner Parker Toys, Inc. This web-site is not associated with Lionel LLC in any way. Ownership of the original copyrighted artwork and trademarks reproduced is retained by Lionel LLC. Utilization of this material here is provided under the fair use provision of the Copyright Act. The information and images provided are merely for enjoyment, entertainment, and/or reference. The publisher of this page is not responsible for any loss, or damage due to errors and/or omissions in the content located herein. Lionel, K-Line, and American Flyer are registered trademarks of Lionel LLC.